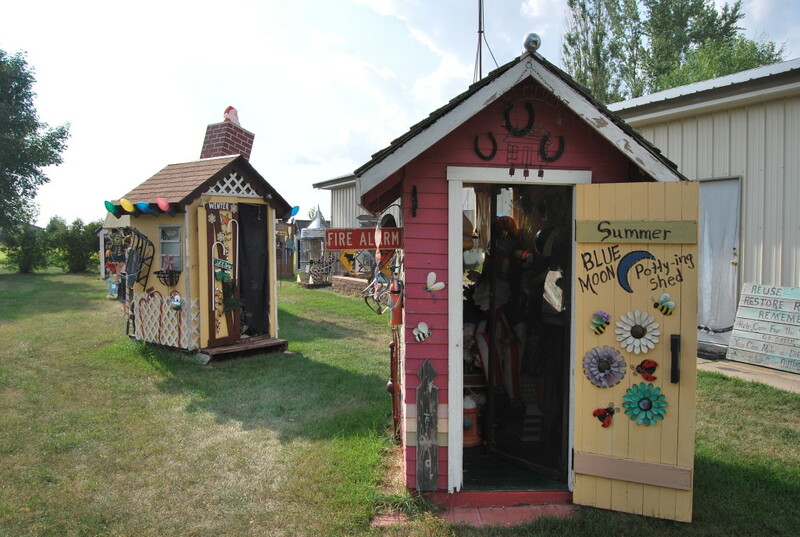 Down near Glenwood, MN, along a lake cabin-studded road on Lake Amelia, there is a collection of over a dozen repurposed outhouses, each taking on a different theme. This is a project 5 years in the making, open to the public for free viewing during the summer months, found in someone’s yard across the street from a lake home. It’s called Pottyville, and it’s quite the place. 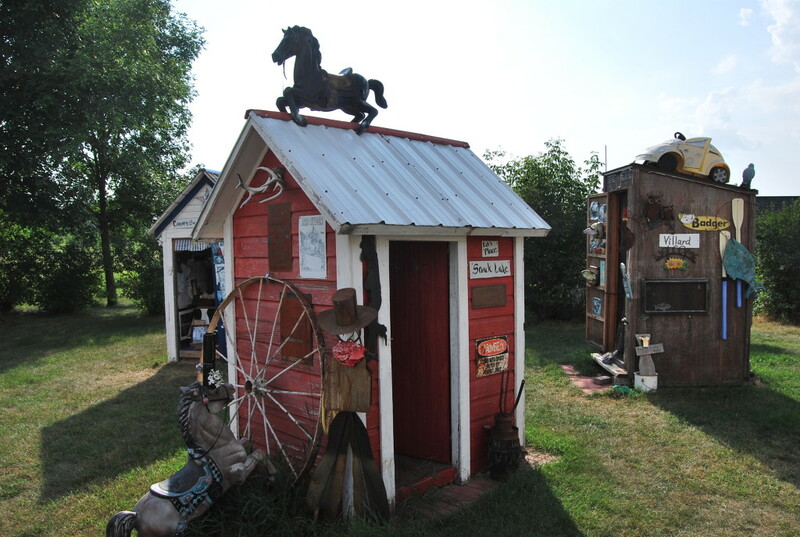 Pottyville is the brainchild of Nell Riccatone and Gary Hoover, who found a few abandoned outhouses in a nearby field about 5 years back and decided to use one as a potting shed. 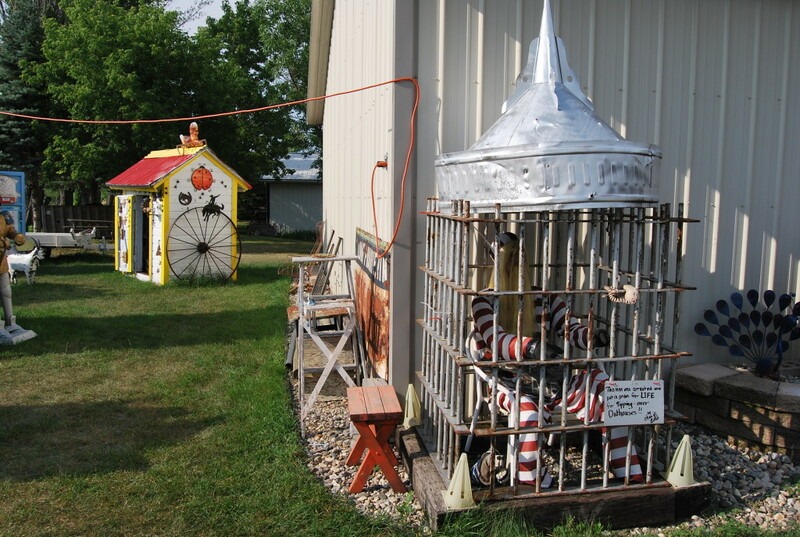 As the enthusiasm for the decorated shed grew, they acquired more over the years and decorated them with different themes. The collection now is up to 15. The first themes were seasons: Summer, Fall, Winter, Spring. 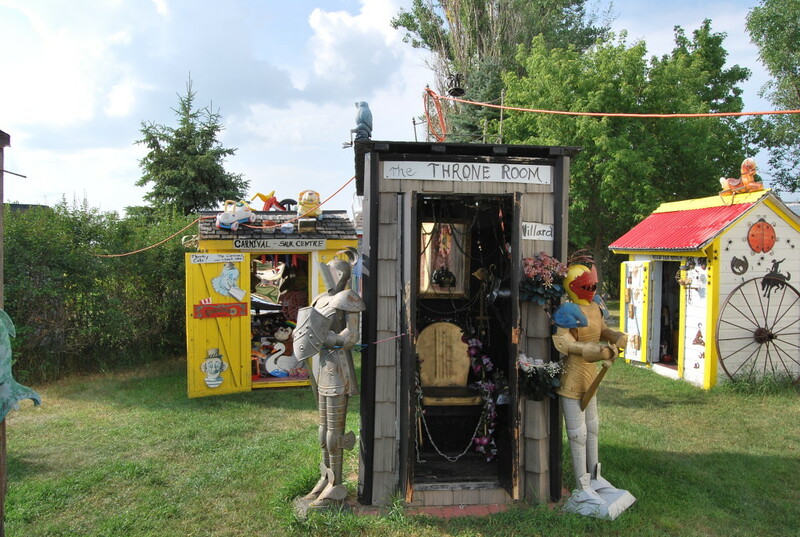 The other outhouses took on themes such as hunting, fishing, sports, Minnesota, Halloween, carnival, and one titled “The Throne Room.” Each outhouse is completely decked out with themed items the owners find at garage sales and elsewhere. 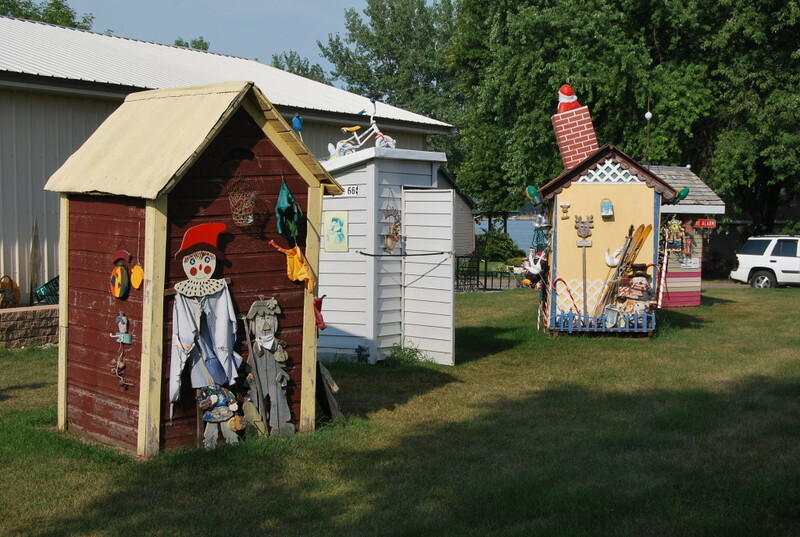 They’ve done a great job with it, with some of the outhouses featuring interactive displays that invite you to “open (the toilet lid) at your own risk” only to find a fake beaver peering back at you, or to “stomp your foot” to hear a cackling, macabre voice in the Halloween outhouse. 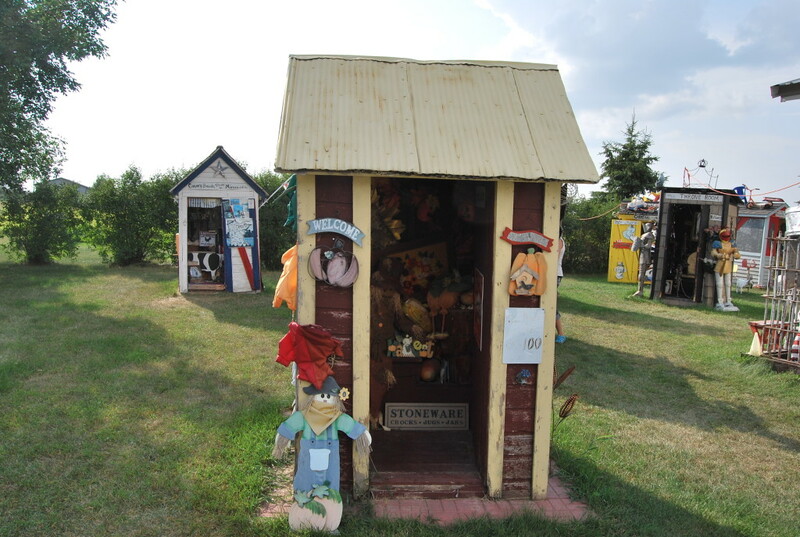 Visitors are encouraged to explore and admire the outhouses, and can even post for a picture in the “Throne Room” (below). 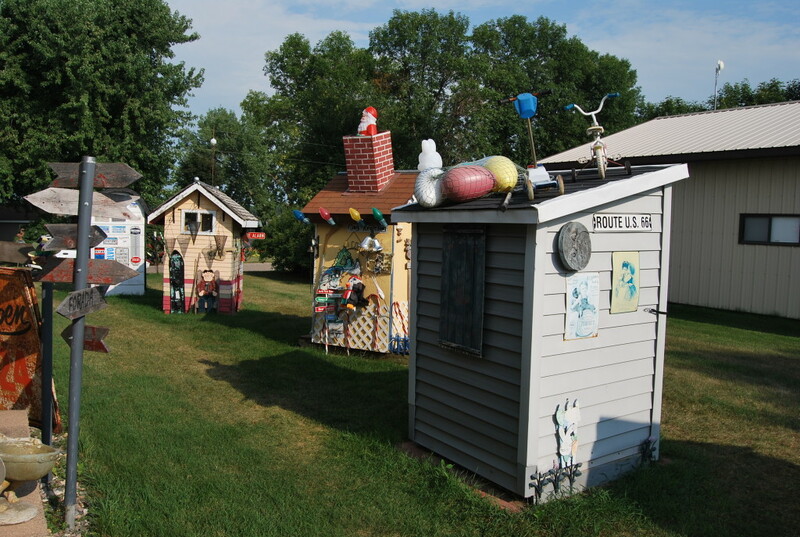 Pottyville is found on a small residential road about 20 minutes south of Alexandria, MN between the towns of Villard and Glenwood. There is a guestbook and donation box and plenty of great photo ops. Check it out before summer is gone! While in the area: Glenwood is a pretty underrated little town, set on the shores of the beautiful Lake Minnewaska. The drive from Alexandria down the steep hills surrounding the giant lake is worth it alone.